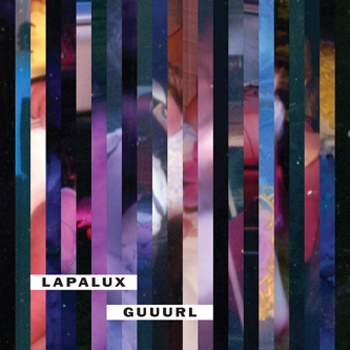 Lapalux has always been one of those artists who spend the majority of time on the very fringe of our collective peripheral vision: poised to jump into view. After two incredibly tasty releases last year, the electronic hip-hop mastermind's Soundcloud page is pushing 30,000 followers and with every single and EP it only grows and grows. Recent (as in eight days ago recent) release "BETHR" is an example of how far he's willing to stretch his sound: with the heroin-slow psychedelically tones stretching the membrane of what could be considered hip-hop. March, 2013 should see the release of Nostalchic, his debut LP which I personally expect to blow up in a very big way. So far the only hint we've had of what it will sound like is "Guuurl," a track echoing the more melodic aspects of last year's EPs. While this single track may not be quite as interesting as some of his previous releases (When You're Gone, namely), I'm still incredibly optimistic for the new album. If you're at all electronic or hip-hop minded, this will be a big one to look out for. Go like him on Facebook if you want to. I won't force you.